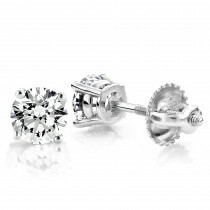 This perfect set of Platinum Solitaire Round Diamond Stud Earrings features two perfectly matching round diamonds and a Platinum settings with a screw back closure for secure wear. 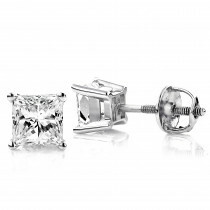 Each round cut diamond earring has a solitaire diamond weighting approximately 1/6 of a carat, for a total diamond weight of 1/3 carats. 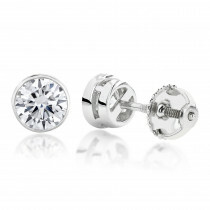 Classic and luxurious, our versatile solitaire diamond studs are an everlasting display of beauty and excellence. 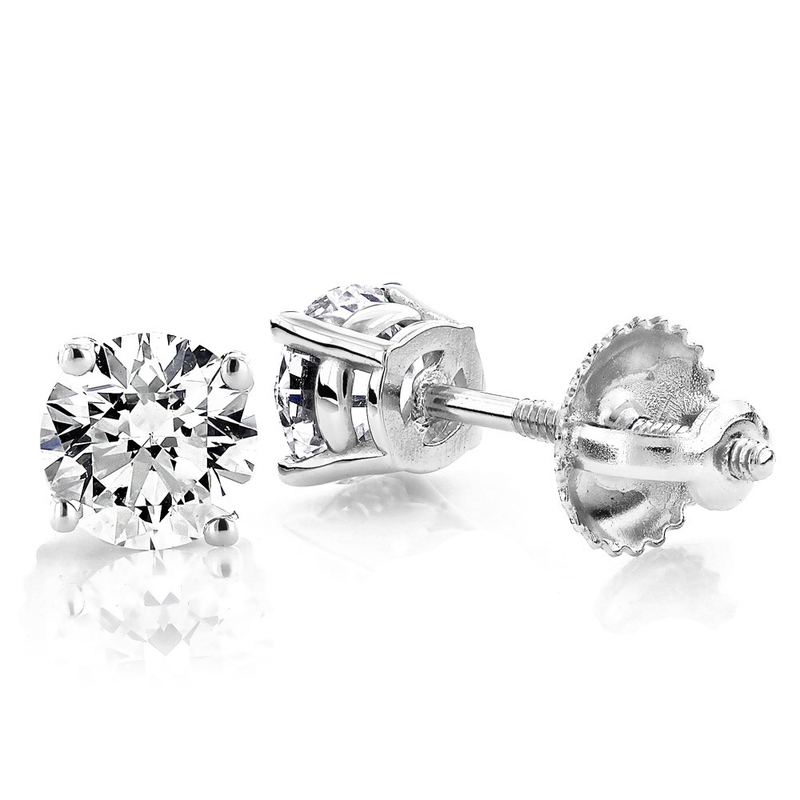 These round diamond stud earrings from our fine diamond jewelry collection make a perfect and classy gift for any occasion.